Suppose we are to plot a yield curve for a list of bonds. Do we use the Nelson-Siegel fitted yield curve since that's with the case for zero coupon bonds? Or do we in fact use bonds with different coupon rates to calculate the yield curve? I am somewhat confused with all the applicable methods and definitions so some clarification will be great, as I'm also still new to this topic on yield curves and term-structures. In the beginning, we had a plot of yields of individual bonds against time to maturity, the crudest form of "yield curve." Years later, people began hand-drawing a smoothed line through these yields as closely as possible. Because bonds have different coupon rates, making their yields hard to compare, people tend to draw the curve through bonds trading close to par (100), making these the earliest form of "par yield curves." Later on, people discovered that they can use much better models to construct these curves more "scientifically" (e.g., in ways that use discounted cash flow principles and account for the differing coupon rates of bonds). Many models are proposed, including the Nelson-Siegel model, cubic splines, exponential splines, etc. These models all attempt to accomplish the same thing – create a curve that best fits the prices or yields of observed bond yields/prices. Nelson-Siegel, like any other curve fitting procedures, can be used to produce smoothed yield curves. The outputs from the model can be the zero coupon curve (zero coupon rates against time), par curve (yields and coupon rates of par bonds against time), or forward curve (forward short-term interest rates). These curves are just mathematical transformations of each other. From a single model, you automatically get all of them. The inputs to these models (NS included) are almost always coupon bonds, not zero coupon bonds (so yes, bonds of different coupon rates are used to calibrate the model). But as said, you get both zero coupon curve and coupon yield curve out of the model. Quants/researchers like to work with zero coupon rates, because of their mathematical simplicity. But par curves are frequently the preferred presentation format, since they are more directly comparable with observed yields. 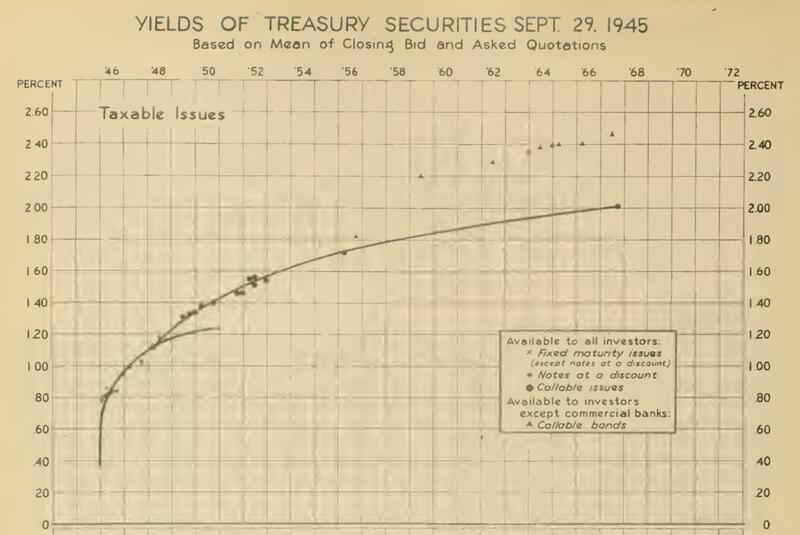 Conceptually, the term-structure of interest rates (spot rate curve) is calculated with zero coupon treasuries. Nelson-Siegel will accomplish this. The yield curve is calculated with treasury Bonds, which pay coupons. While this is a good benchmark for examining the current state of interest rates, you will not gain much by comparing corporate bonds to this curve (since the coupons vary). Additionally, there are discrepancies with on the run issues, and how the day count is calculated with respect to corporates. It is for that reason that you want to model the zero coupon term-structure (spot rate curve). This will strip out many of the nuances of treasury bonds and give you a clearer picture on the spread between your corporate bond and zero-coupon treasuries. Not the answer you're looking for? Browse other questions tagged bond yield-curve bond-yields term-structure or ask your own question.